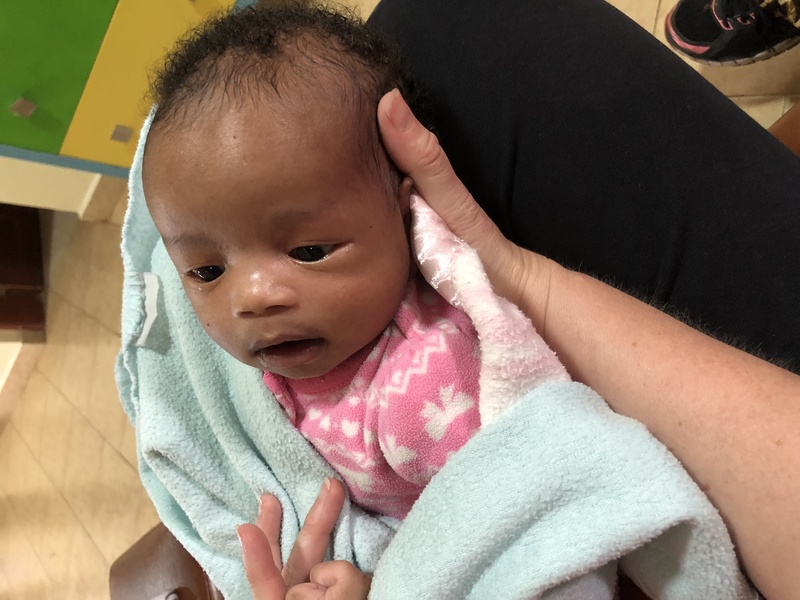 One week old Abigail came to Neema in April, 2018. Her mother had passed away in the hospital and someone walked out of the hospital with the baby. She has some family, so she was found and brought back to the hospital. Social Welfare was contacted and brought the baby to Neema Village where she will stay until the family can take her home around the age of 2 years. She will need support while she lives at Neema. Sponsorships at Neema can happen for as little as $30 per month but it cost us over $300 USD to keep a baby at Neema so any amount is appreciated. Sponsorships pay for 51 full time Tanzanian staff, nannies around the clock and double time pay on holidays, guards, driver, cleaners, managers, secretary, utilities, petrol, food, formula, etc. Only Tanzanians are paid from sponsorships at Neema. Please help if you can, we need you.